Guacamole is a standard at almost any restaurant here in Texas. Make it yourself at home with this easy recipe. What’s the best part of living in The South? Besides the warm weather (I hate the cold), it’s definitely the southern comfort food. I mean, who doesn’t love some good country fried steak or biscuits and gravy? Since having children, I’ve also learned that it’s not always about the food that’s being made, but the memories we make in the kitchen together. Nothing taught me this more than seeing how much Tyler loves to help me in the kitchen. I was recently given the opportunity to work with Southern Kitchen as one of their Brand Ambassadors. It’s a perfect fit since the company is all about Southern-inspired foods, drinks, and get-togethers. Disclaimer: I was provided with a free product in return for my honest review. All thoughts and opinions expressed herein are my own and not influenced by the company in any way. You can get quality products ranging from serving dishes to cast-iron skillets to platters to pitchers to pint glasses and everything in between. 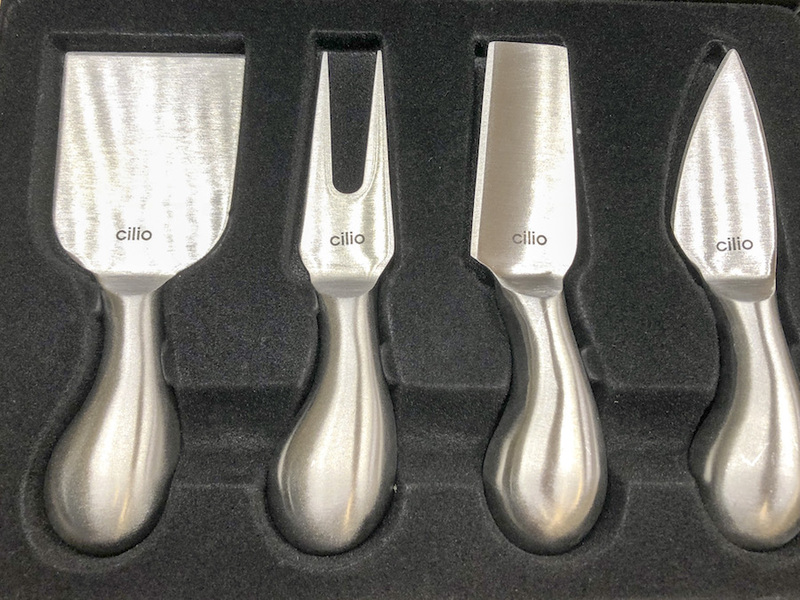 I started small to try out a few things and ordered their Bean & Bailey White Salt Bowl as well as the Cillio Piave 4 Piece Cheese Knife Set. The Bean and Bailey bowls are awesome because they are multifunctional. They can be used for salt and pepper bowl, but can also be used for an individual salsa bowl or dipping sauce bowl. You could also use it outside the kitchen to hold jewelry, coins, or anything small. 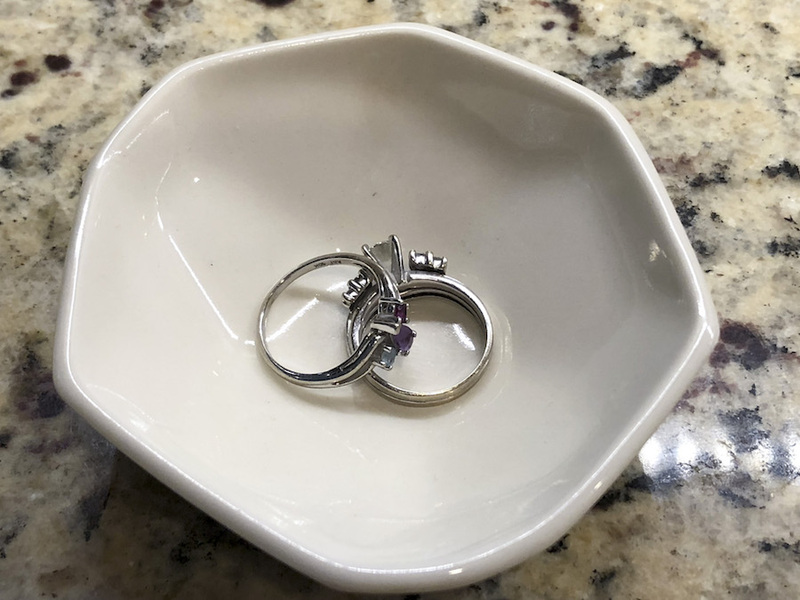 I like keeping one on my kitchen counter to put my rings in when I am working with raw meat. 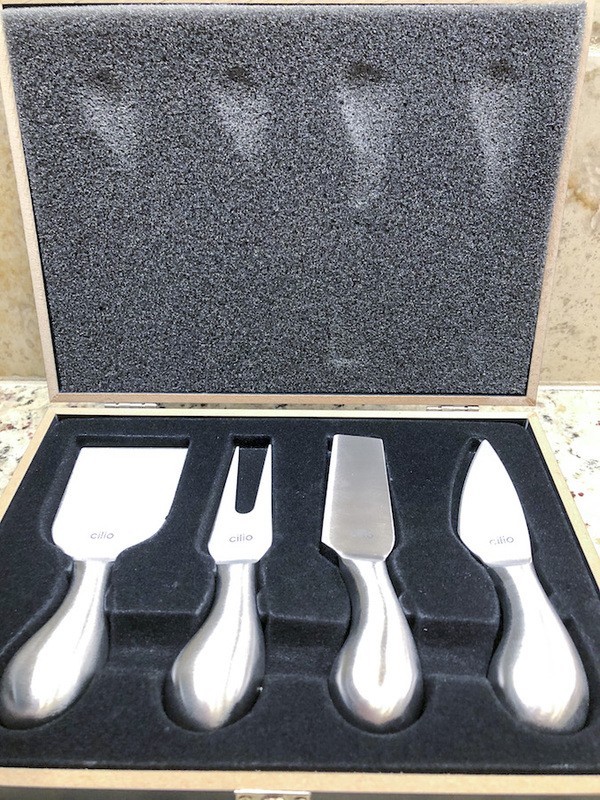 I’ve never had a cheese knife set, so thought it would be something fun and unique to add to my kitchen lineup. I’ve been to parties where the host has a gorgeous cheese platter out with the cute little knives that are perfect for the different types of cheese. They come in a perfect wooden box for easy storage, and it would also make a great gift. And what could be better than a discount on these wonderful products? If you use the code WELCOME10 on your first order, you get $10 off a purchase over $50. As I mentioned, the Salt Bowl is the perfect size for a single serving of a dip. I used it for some delicious guacamole. My boys love going to our local Tex-Mex restaurant because of the guacamole that comes with every meal. They call it “the chip restaurant” because that’s their favorite part. Southern Kitchen has some amazing recipes on their website, including one for an easy guacamole dip, so we decided to try it out. In a medium mixing bowl, squeeze the juice from the lime and mix it with the salt. Add the diced onion and minced jalapeño and let it rest for 5 minutes then stir in the cilantro. Open the avocado and use a spoon to scoop out the flesh. Add it into the lime mixtures and mash it as you mix everything together. You want to leave the avocado slightly chunky. Season to taste with salt and more lime, if desired. Serve with tortilla chips. In a medium bowl, squeeze the juice from the lime and add salt. Add the diced onion and minced jalapeno, and let sit for 5 minutes. Using a large spoon, scoop the avocado flesh into the bowl and coarsely smash with a fork. Mix just enough to bring everything together, but not so much that the avocados resemble a puree. The guacamole should still be somewhat chunky. Season to taste with more salt and lime. This looks really good, I’ve never made my own guacamole before but I’ll have to try this for our next party! I hadn’t either and was surprised at how easy it really is! Guacamole is my weakness! This recipe sounds amazing. Thanks for sharing– excited to give it a try soon. It was such a good recipe and so easy! My husband loves guacamole but we’ve never tried making our own- this recipe looks simple enough though! So glad you’re able to share such special kitchen moments with your family. It was such an easy recipe to make, I was surprised! This recipe sounds great. I love chunky guac with fresh jalapeno. The boys must have been very excited to have their chips and dip at home!! Yes! I skipped the jalapeno for the boys in mine, but my husband would love it with the extra kick. I hate the cold too, I should down south! We’ve only ever made guac once and it was a flop. I think it’s time to try again. Can’t wait to try your recipe. Houston is the furthest north I have ever lived, and I plan to keep it that way! I found that the trick is to not mash the avocado too much. Well I am an avocado lover so guacamole is right up my ally and that bowl is so pretty! Looks so yummy!! i am wanting to try tamales and this would go great with them. We had it with some chicken enchiladas, but it would go great with tamales as well! I love guac! I always think of making at home but then I get lazy because you need several ingredients. Haha you made it seem so easy. I used to think the same thing, but it seems like the simpler recipes are the best! This recipe was so simple, and some of the best I’ve had! I so love serving Guacamole to my friends and family. This one looks so delicious. It was delicious and really easy to make! Holy-moly-guacamole looks delicious! I will definitely try this recipe as it looks so delicious and healty. Yummm!!! And not to mention really easy to make as well! I hope you enjoy it!! Sounds like an awesome deal for people who are looking for kitchen products, like skillets and all that! Love that guac recipe, it’s definitely perfect for gatherings! I love all their products and can’t wait to try out new ones as well. And yes, the guacamole was delicious and super easy to make!